I've been thrifting it up lately (and sewing) but I'm a little more excited about the thrifting right now. Maybe it's sewer's block? Hmmm. It occurred to me that I might be drawn to bright pink as I put this photo together. 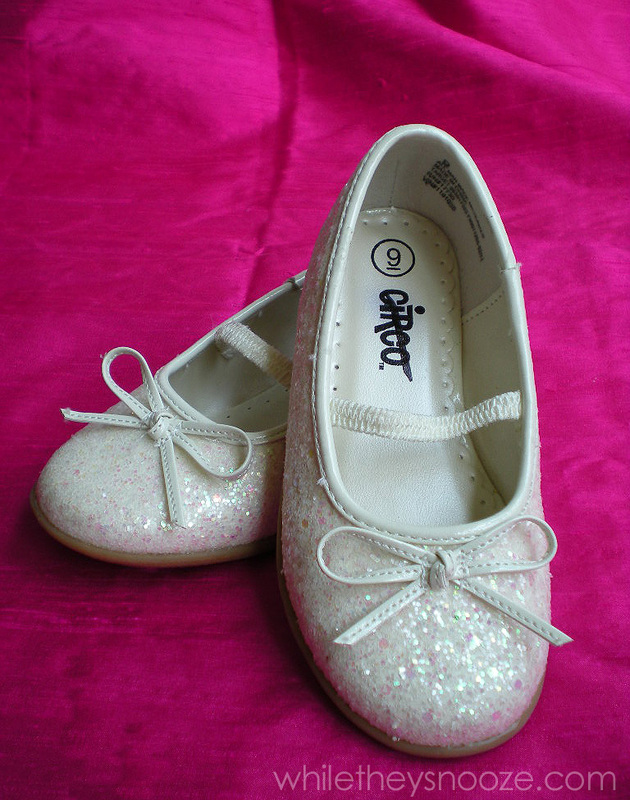 New with the tags Target toddler girl shoes for $3.99! My Goodwill gets all the Target clearance Target doesn't sell... how great is that!? 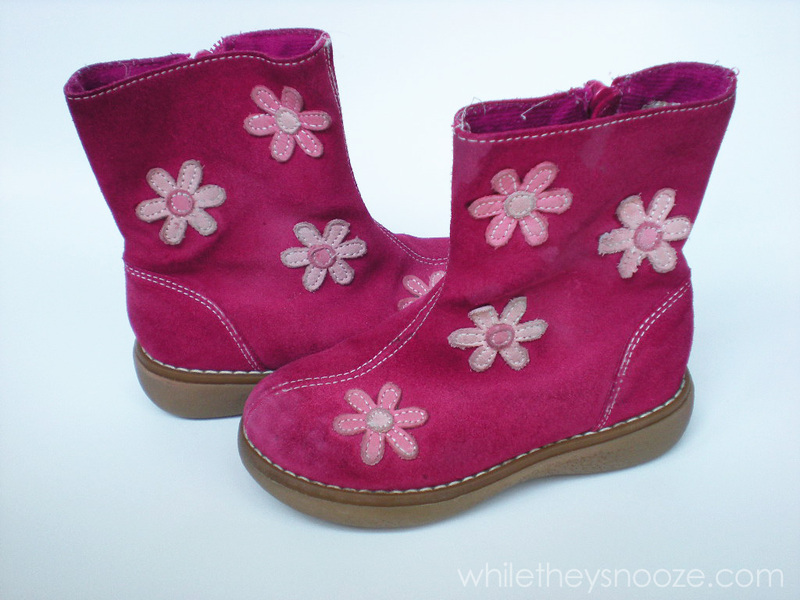 Speaking of Target shoes, I was just hunting ebay for some new fall boots for the kid when I walked in and saw these. A little worn but for $3.99 well worth it and her size! Circo brand and way cute with some fall skirts and dresses. Staying with the pink theme, I found this straw beach tote with the tags still on for $1. Can't beat that. I thought I might do some sort of craftiness to it, but the more I look at these pictures, the more I kind of like it plain. hmmmm. Still hanging in there with the pink? Dupioni silk at Goodwill! I'm not kidding. Occasionally you come across someone's fabric stash they donated. Today was one of those days. 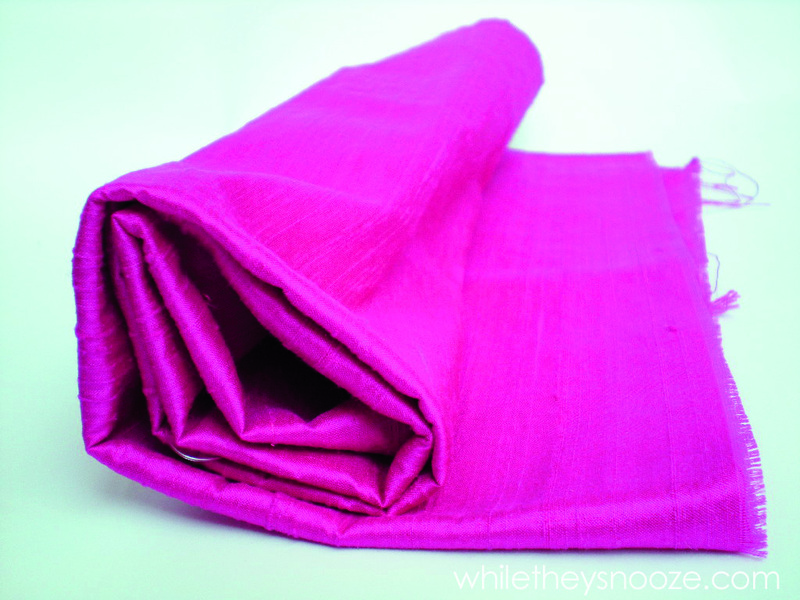 1/2 yard of hot pink dupioni silk for $1! Yes please. Ok, departing from the pink now... are you a little sad? 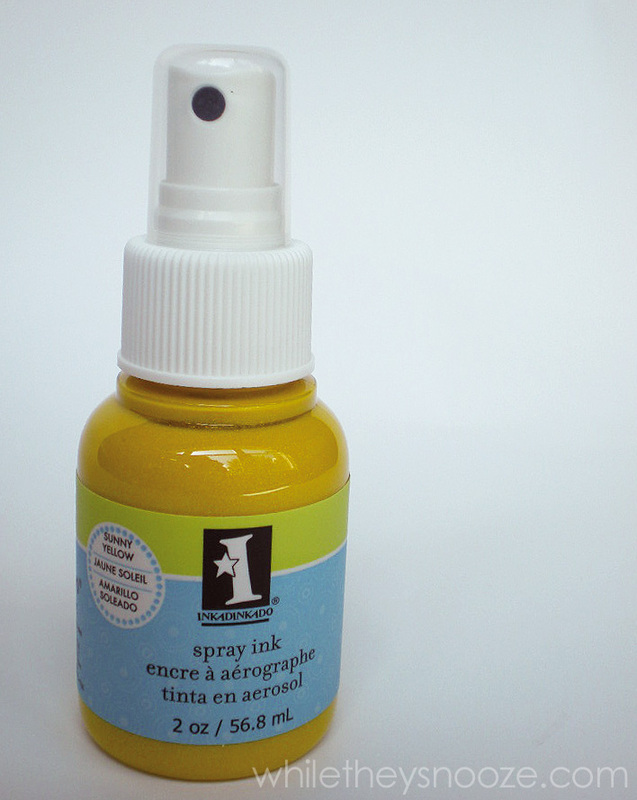 No need, I have some cheery yellow for you in the form of spray ink, brand new. Had no idea this stuff even existed. I did a tiny bit of internet research and read it's good for wood and paper. I plan to use it on fabric. I'll let you know how that works out. $4 at Goodwill, $8 online. And my all time prized thrifty find to date! A set of 8 Marcrest Swiss Alpine dinner plates made in the USA from the 1950's in perfect condition! Best part you ask? 99¢ a plate! I paid less than $8 total for these gems. After a smidge of Googling I found the same plates on replacements.com for $17.99 each! I'm slightly excited about them. Can you tell? And that's it. My thrifty mojo has been strong lately. Stay tuned this week for an awesome resource for kids thirftiness. Happy shopping. I love these dishes too. I have one serving piece but have been thinking about collecting them to use as our everyday dishes. BUT, my husband really want our everyday dishes to be microwaveable, and I have no idea if these would be (and I'm thinking most people probably don't risk it with vintage dishes, but who knows). Any ideas? Do you microwave yours at all? Hi Sarah. No, we do not microwave them but I do put them in the dishwasher. I figured since they were made before microwaves were invented... I probably shouldn't chance it. I actually saved a couple plates from my old dish set (wedding gift from Sears... horrible quality) for just that purpose. If something needs to be microwaved, we plop it on there. Annoying, yes but the quality of these old dishes just can't be beat. They are 60+ years old with not a crack or chip. Hope that helps.